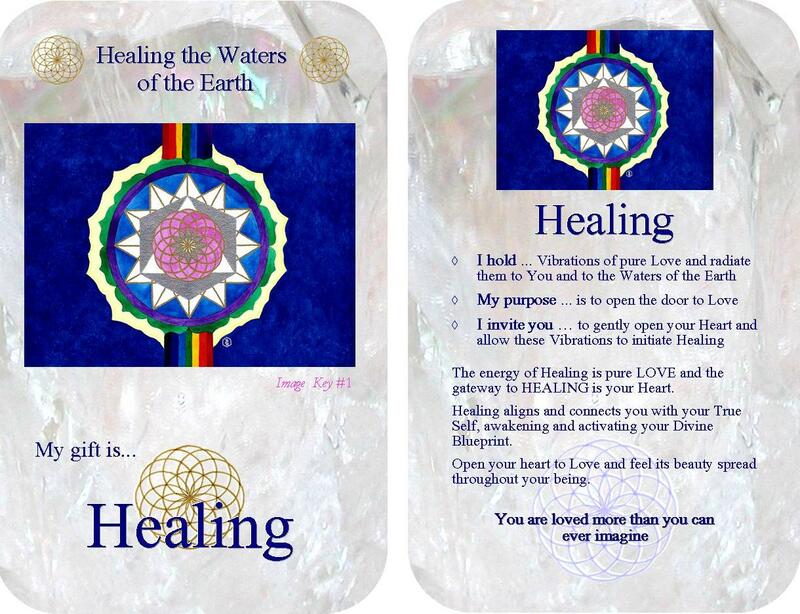 The Messages of Universal Wisdom Empowerment Cards are a Quantum Energy Healing Tool; they are amazing people who hold them in their hands. 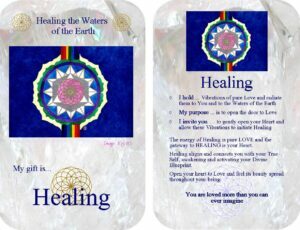 Many are feeling their energy simply by holding one card in each hand!!! They provide inspirational messages and energetic support on a daily basis. The deck contains “Picture Cards” & “Word Cards” plus a simple set of Instructions. The “Picture Cards” nurture the Feminine Side of your being, while the “Word Cards” nurture the Masculine side. The importance of the cards as an aid for balancing Masculine and Feminine energies is explained in more detail in one of my recent postings (see Blogs). Here are four simple ways to use the Empowerment Cards (first put aside the 6 instruction cards). Shuffle the cards. Ask a question of your choice… this may be “What do I most need to know?” or “Which Empowerment Card will best support me today?” or something much more specific. Intuitively, choose a card from the deck; it will either be a “Picture Card” or “Word Card”… search the deck to find the matching card. Hold the “Picture Card” in your left hand and the “Word Card” in your right hand. Focus on your energy… how do you feel? Can you feel the energy from the cards? Is there any tingling or warmth in your hands? As you breathe, imagine drawing the healing energies in through the palms of your hands and up to your heart; allow them to mingle, and then breathe them to every level of your being. After you have chosen your cards place them on a flat surface and place your left hand on the “Picture Card” and your right hand on the “Word Card”. Again imagine with your breath drawing the essence of the cards into the palms of your hands, then to your heart and then sending the energies to all levels of your being… this way you do not even need to read the words as you capture the essence. Divide the Cards into “Picture Cards” and “Word Cards”. Ask. “Which Empowerment Card is most supportive to my Feminine side today” and choose a “Picture Card”. Then ask “Which Empowerment card is most supportive to my Masculine side today” and choose a “Word Card”. You will most likely now have two different Image Keys and Key Words to work with. Place the Cards in your hands and follow the procedure in 1. and 2. above. Shuffle the “Picture” and “Word” Cards together. Now ask… “Which Empowerment Card will best support my Feminine Side and which will support my Masculine Side?” Select two cards from the deck. This time you may find a “Word Card” has come forward to support your Feminine side or a “Picture Card” has come to support your Masculine side. Or you may have selected two “Picture Cards” or two “Word Cards”. Make a note of your choices and keep a journal to see how your choices change over time and how they relate to the events of your day. If you feel suddenly guided to use the cards in a new way… go with your intuition… after all, they are Empowerment Cards!